This week's Top Tip comes directly from a conversation I was having with my friend Melanie from One Tier At A Time today. Every one has their preferred methods of torting (slicing the middle of the cake) and leveling (trimming the top) and she'd very much like Santa to give her an Agbay! (Apparently a Rolls Royce in the cake leveler brand range!) But hey I'm not a pro, but sure willing to give it a go - which also means as a hobbyist I could never afford an Agbay, and well I don't actually make enough cakes in a year to justify one. So Melanie says, "But I like my cakes to be level!" And I cheekily send her that photo pictured above "Oh I don't need an Agbay!" She agreed, yes I am awesome. And no I don't need an Agbay. Ha ha ha! Well that is of course until the time comes that I am making cakes on a weekly basis, then maybe I might like to spoil my self! But for now I like to do it "Home Baker" style! This gets your butter and sugars firm and holds all your cake together. 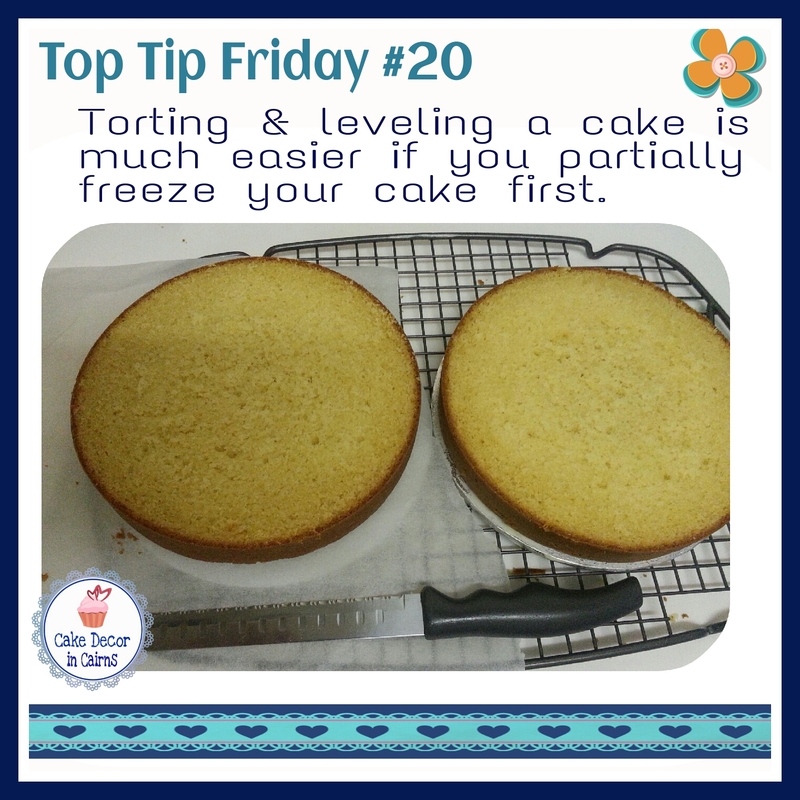 Now I know people who don't do this - and yes you're amazing, however I cannot torte a cake without first chilling it. When I have tried, I've made a crumbly mess! So before I let a blade anywhere near my cake I like to get it nicely chilled. 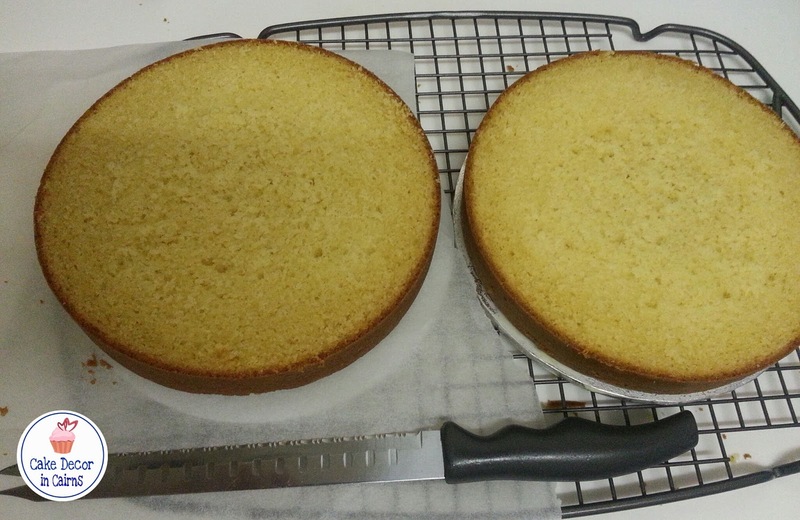 Right, that's part 1 sorted, now later down the track I will continue with part 2 and show you my preferred method to actually torting my cake with the knife pictured! It's not Agbay perfect but it's home baker approved! Oh and my new thing to let you know, is that if you don't want to miss my Top Tip Fridays or any of my other fabulously interesting posts, (I got to believe in myself right?) make sure you sign up for an email friendly version of my blog to be delivered straight to your inbox! And here's my new little button to sign up! Ta da!